Some Florida employers assume that if they put an employee “on salary,” as opposed to an hourly wage, that means they do not have to pay any overtime. This is a common misconception of the law. While many salaried employees might fall into a status of exempt from the Fair Labor Standards Act’s (FLSA) overtime requirements, the mere fact that a given worker is salaried does not, in and of itself, establish exempt status. If an employee works more than 40 hours in a given work-week, he or she is normally entitled to an overtime wage of one-and-one-half their normal rate for any hours worked above 40. The FLSA exempts certain employees from this requirement, meaning the employer does not have to pay the overtime rate if the worker meets certain criteria, which is based on their actual job duties (the duties that they actually perform, not what is included on a job description). Many employees who work in executive, administrative, professional (EAP) jobs are classified as exempt. To fall into one of these categories, the employee’s actual job duties must meet all of the exempt criteria. For more information about exemptions, check out the Department of Labor Fact Sheet. Often times, we see employers providing a job description to employees which would include duties for exempt employees, but in actuality, the real job duties that the employee is performing is non-exempt. For instance, an employer might call an employee a “Manager” and provide a job description stating that their primary duty is to manage two or more employees. 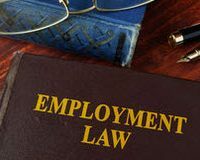 Yet, in actuality, the employee’s primary job duty is to manage the register and assist customers with orders – these types of duties could destroy the managerial exemption and make that employee entitled to overtime pay. Even if an employer claims an exemption for an employee, the employee must be paid a salary of no less than $455 per week–or $23,660 per 52-week year to maintain the exemption – this means tha the employee cannot be paid hourly to be exempt. Keep in mind this is a ceiling, not a floor. Any EAP employee who makes less than $455 per week on salary cannot be exempt from overtime requirements. In this context, a salaried employee means someone who is paid a predetermined amount each pay period–it doesn’t matter if it’s weekly or biweekly–regardless of any variation in the “quality or quantity” of the employee’s work. Normally, an employer may not make deductions from an employee’s predetermined compensation and still classify the employee as salaried. For example, if the employer only pays an employee for days when there is “work available,” then the employee is not salaried. Or, if the employee comes to work late one day and their pay is docked, they are not a salaried employee. Of course, the employer can still take deductions from an employee who is absent “for personal reasons other than sickness or disability,” i.e., simply refuses to show up for work. There are also cases where an employee may be paid on a “fee basis” rather than salary and still qualify as exempt from overtime requirements. Basically, if an employer pays an administrative, professional, or computer employee a flat fee for a “unique job,” and the payment for hours worked would “amount to at least $455 per week,” that is sufficient. For example, if a computer employee is paid $600 to do a one-time job that takes 30 hours, that would “amount to” $800 for a 40-hour work-week, which exceeds the $455 per week salary requirement. In 2016, the U.S. Department of Labor announced changes to the FLSA that would have increased the minimum-salary threshold for the overtime exemption from $455 per week to $913 per week. Subsequent litigation halted the implementation of this rule. The Department is currently soliciting public comments on how to “determine an updated salary level” in the future. If you have any questions about whether or not you are exempt from overtime requirements as a salaried worker, you should contact an experienced Florida employment law attorney right away.